It’s not clear what exactly constitutes Sustainable Forest Management (SFM); in fact, there isn’t wide consensus on how to define it. [i] What is evident is that healthy forests support a wide range of services for ecosystems and livelihoods – from food and firewood, to erosion control, pollution mitigation, and carbon storage – and that good governance is essential for ensuring that these benefits persist. Forests are also a valuable economic good, and their sustainable use creates jobs and brings revenue. Conversely, weak forest management is often associated with illegal logging, forest degradation or deforestation, the loss of ecosystem services, and the marginalization of people who depend on forests for their livelihoods. Precisely because forest governance is most apparent in terms of outcomes - whether positive or negative - tangible guidelines for forest governance as a process are needed. The Toolkit of Forest Control and Supervision: Practical Field Guidance, supported by PROFOR[ii], meets this need by providing low-cost, hands-on tools for forest management. The Toolkit was primarily designed for the government officers of forest agencies, particularly in tropical countries seeking to implement timber legality verification systems. Indeed, the demand for certified sustainable wood products has grown as governments and development organizations have recognized both the environmental damage associated with illegal forest activities, and the global economic loss: the World Bank estimates that governments lose as much as US$5 billion annually from evaded taxes and royalties on legally sanctioned logging alone. [iii] However, in many cases timber-producing countries are not prepared to meet the verification requirements laid out by legislation (such as the amended US Lacey Act, the EU Timber Regulation, and the Australian Government’s Illegal Logging Prohibition Bill) or international agreements (including the Convention on International Trade in Endangered Species of Wild Fauna and Flora (CITES)). The Toolkit’s first component is a user’s field manual for verifying the legal origin of timber, with a focus on inspections in forests, sawmills and lumber yards – an important step towards verifying that the volume of timber actually harvested matches the volume planned, and complies with forest regulations. The modules provide details on how to organize an inspection team, how to determine if a particular tree is missing, and how to calculate the volume of standing trees and different timber products, among other procedures. The chapter also provides a list of lessons learned from forest-rich countries like Nicaragua and Costa Rica, emphasizing best practices such as avoiding conflicts of interest within forest monitoring systems, which might arise from receiving financing from logging companies, for example. The second component in the Toolkit provides guidance for setting up logging contracts between the forest industry and indigenous peoples’ (IPs) communities. Some 60 million IPs are totally dependent on forests, and as demand for valuable timber continues to grow and IP land rights are increasingly recognized, contracts between IPs and loggers are becoming more frequent. The goal of this module is to improve logging contracts for the benefit of IPs, including by supporting community-run committees for forestry monitoring. Practitioners from Bolivia and Peru provided essential input to this component, as documented experiences related to commercial relationships between loggers and IP communities are practically non-existent. One of the primary goals of the Toolkit was to strike a balance between providing the tools necessary for forest control and supervision, and keeping the them simple, practical and user-friendly. "We often think that improving forest monitoring requires expensive technology,” says Tuukka Castrén, Senior Forestry Specialist and lead author. “This is only partially true. While modern ICT can help us tremendously to improve transparency and accountability, lots can be done with low-tech solutions as well. Having a systematic and well-structured approach to monitoring and community engagement takes us a long way, even if the methods we use are still manual. The good thing is that mobile devices and other technology can then be introduced gradually. This Toolkit describes a low-cost model for improving forest governance. More advanced systems can then be built on this once we have more resources and experience." 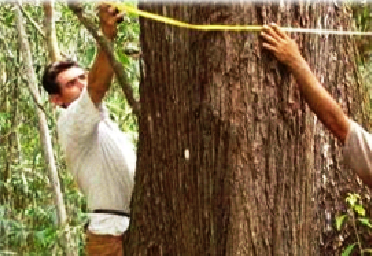 Besides supporting government officers in implementing national forest strategies, the authors anticipate that the Toolkit will also be helpful to national scientific and management authorities, World Bank Task Team Leaders (TTLs), the private sector, local communities, and NGOs and other civil society involved in sustainable forest management. [ii] The toolkit incorporates lessons learned from field activities financed by the Forest Law Enforcement and Governance trust fund, which closed in 2013.